In conjunction with Gong Cha Malaysia’s 6th Anniversary, they will be having a promotion Every Friday for the month of May. All regular-sized drinks will be available for only RM5 each! 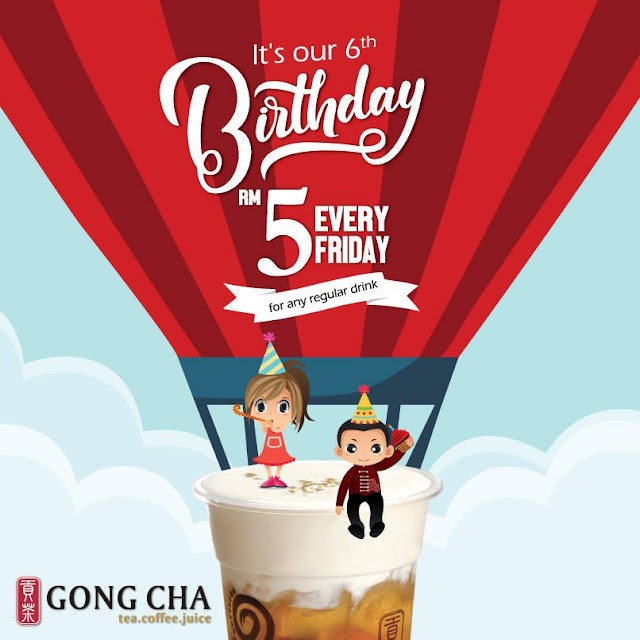 Venue: All Gong Cha Outlet in Malaysia.